Pink eye is commonly known as Conjunctivitis. It is caused by the inflammation of the blood vessels in the membrane that covers the white part of the eye and the lining that covers the inner surface of eyelids. Pink eye is quite a common problem and it is nothing serious although it is highly contagious. It affects almost all individuals during their lives. When a person suffers from pink eye, the white parts of the eye become pinkish or reddish. Also the inner surface of the eyelid becomes inflamed and there may be a little swelling. Although there is nothing to be concerned about regarding the occurrence of pink eye, it can be very irritating, especially when the inner eyelids swell up. There may also be the presence of a whitish discharge. Pink eye is caused by viral or bacterial infection and is often linked to common colds which affect the eyes. Pink eye that is caused by viral infection leads to a sticky whitish discharge whereas pink eye that is caused by bacterial infection tends to produce a yellowish green discharge which is thicker like pus. This discharge can even seal the eyelids overnight. Another cause of pink eye may be seasonal allergies, pollen, certain kinds of makeup or the exposure to chemicals, factory fumes, smoke, dust, tobacco smoke, excess chlorine in swimming pools or other substances which irritate the eye. While pink eye that is caused by seasonal allergies or irritating substances are not contagious in nature, viral or bacterial infection that causes of pink eye can be extremely contagious. This article will elaborate on the effective natural remedies of pink eye or conjunctivitis. Before the effective treatment of pink eye or conjunctivitis can be done, it is important to recognize the symptoms of pink eye. 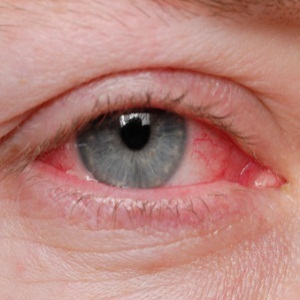 The most common symptoms of pink eye include an itchy sensation in the eyes, redness in the white parts of the eyes, a slight burning sensation in the eye followed by watering up of the eyes and so on. While, pink eye that is caused by viral or bacterial infection generally has to be treated with antibiotics, it can also be treated by natural home remedies. Other forms of pink eye can also be treated effectively with natural remedies. Firstly, in order to soothe the irritation that is caused because of pink eye, apply a piece of cloth that has been soaked in warm water over the eyes. This will help to relieve the burning sensation as well as the irritation and also remove the discharge from the eyes. This cloth should be applied on top of closed eyelids. For pink eye that has been caused by allergic reaction, you can apply a cloth soaked in cold water in place of warm water. Keep the cloth pressed over the eyelids for a few moments and take it off. Repeat the process a few times till it soothes your eye. You can do this as many times a day as you want. Secondly, there is an anti inflammatory herb known as eyebright which is helpful in the case of treating pink eye. Eyebright is used in eye wash that eases or relieves the irritation caused by pink eye. Whether the pink eye has been caused by allergies, inflammation, cold, exposure to pollution or physical irritation, eyebright is an effective natural treatment for pink eye. Thirdly, chamomile is another effective herb for treating pink eye. Brew a cup of chamomile tea and remove the tea bag and allow it to cool. Place this bag over the infected eye. Chamomile tea bags help to relieve the eyes and reduce the inflammation. Fourthly, you can make a mixture with boiled water (that is cooled to room temperature) and a pinch of salt. Use this solution to wash your eyes around four to five times a day. This will also help to reduce the inflammation and the irritation. If you are a swimmer and need to swim while you are suffering from pink eye, then wear goggles that cover your eyes completely because the disinfectants in the water may irritate your eyes further and make the inflammation to increase further. Another very beneficial anti inflammatory and anti septic source is marigold. Marigold helps to fight and get rid of the viral or bacterial infection as well as to reduce the inflammation of the blood vessels in the eye. You can make a compress out of marigold mixed with warm water. Apply this compress on your eye from time to time to help in soothing and relieving your eyes from the infection. Finally, breast milk can also be helpful in the case of treating pink eye. Using fresh breast milk as a compress on your eyes will do wonders for the infection to go away. However, you must remember to use fresh breast milk and not stored breast milk. Since pink eye or conjunctivitis is extremely contagious, make sure to wear glasses in order to prevent the infection from spreading to others. Also, use separate towels, kerchiefs so that you do not pass the infection to the others through these. Also, wash your hands continuously, especially before as well as after touching your eyes. Avoid physical contact with other persons without washing your hands. It is better to refrain yourself from touching kids as they are more prone to any kind of infection. When your eye becomes affected with conjunctivitis, refrain from rubbing your eyes no matter how much they itch or how much irritation there might be. This is because rubbing your eyes will further disturb the inflamed blood vessels and therefore it will delay the infection from getting better. This is why, apart from applying the hot compresses or the methods mentioned above, it is best to avoid touching your eyes completely. Not touching your eyes will also decrease the chances of the infection spreading to others. These points and remedies will help to deal with a condition of pink eye and cure it effectively.